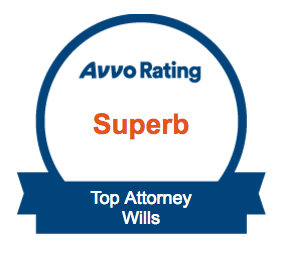 Our attorneys have been drafting Wills & Living Trusts for over 30 years now. During that time, we have developed Wills, Living Trusts, Powers of Attorney, and Patient Advocate Designations appropriate for a variety of circumstances for hundreds clients. We offer simple will packages for small estates; or we can custom design your Estate Planning documents to fit your specific needs. We also can easily set up a trust for your love ones to ensure they are taken care of later in life. Proper planning is the key to dealing with these difficult decisions. Let us take care of the Wills, Living Trusts, and other important documents, so you or your loved ones don’t have to later on. A Will tells your heirs how you want to distribute your assets, appoints someone to handle your affairs, and deals with other issues such as appointing a Guardian and Conservator for your minor children. If you do not have a Will, the state will dictate who receives your assets and who will care for your children and manage their money. With a Will, you can leave specific items to specific persons, make your wishes known with respect to funeral arrangements, leave more to a child who needs it or make sure that free loader relative doesn’t get anything. A Will is a blessing to your family at a time of great difficulty and stress. With a Will, Your family doesn’t have to guess as to your wishes and it gives them specific instructions as to how to handle your estate. You take the decision-making off their shoulders at a time when it is very hard for them to think about such matters. A Will is a thoughtful and responsible gift to those you leave behind. If you really want to do your spouse and/or family a favor, you can create a Revocable Living Trust. A Revocable Living Trust does not have to go though Probate. Retaining complete ownership and control over your assets, you place them into the Living Trust and appoint Trustees to administer it. You are the Trustee while you are alive. After your death, your successor Trustee takes over and follows your wishes as set forth in your Living Trust. If you are married and have a large estate, a Living Trust can help you with your estate tax planning and minimize the taxes for which your estate will be liable. A Living Trust allows your property to be transferred to your heirs much more quickly, easily and inexpensively than probating a Will. You also have a lot more options with a Living Trust. Of course, you can always just distribute everything outright to your heirs, but you can also set up different payment schemes. Below are some examples. You can create Education Trusts for your children or grandchildren. Your Trustee will manage their money and provide funds from your Trust to pay for college or other educational expenses. You direct how much they receive, when they receive it and what the money is to be used for. If you have a child who is receiving governmental assistance due to a disability, you can set up a Special Needs Trust that will allow you to provide supplementary funds for that child without jeopardizing his or her benefits. If you only have a Will, minor children receive their entire inheritance on their 18th birthday. You can just imagine what your average 18 year old does with a large sum of money. Most of them blow it on buying a hot car and treating their friends until the money runs out.Or let’s say you have an adult child who you think is too immature or irresponsible to receive a large sum of money all at once or who just doesn’t handle money well. You can set up a Trust that will pay the money out to your child over time. You can give them a specific amount each month and/or spread other payments out over several years.One common way to do this is to give them a modest monthly amount and distribute the balance of their inheritance to them in thirds on their 25th, 30th and 35th birthdays. But it is completely up to you. You can set up any kind of payment scheme you want and you can even dictate how the money is spent.A Living Trust is a wonderful tool that allows you to determine exactly how your assets are distributed and gives you the peace of mind that you can make financial provisions for your family for years to come. There is no Will, Living Trust, Power of Attorney or Patient Advocate Designation that is too small, too large, or too complicated that we cannot handle. Legal Question: Should I draft a Will or should I create a Living Trust? It really depends on your circumstances and what you want to accomplish. 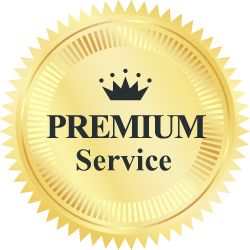 We will tell you the pros and cons, our recommendations and what your different options will cost. Give us a call and we will be happy to make an appointment for you to come in to discuss it with us. Then you can decide what you think is best for you and we can move forward from there. A Will takes care of a lot of foreseeable problems, but there are other documents that need to be put in place to avoid problems as you get older. The preparation of these power of attorney and patient advocate designation forms are included in the cost of your Will at no extra charge to you. A Power of Attorney allows a trusted family member or friend to handle your affairs for you, if necessary. If you become incapacitated due to illness or disability, the person you have appointed is able to step in and take care of business without your family having to go through the hassle of going to Probate Court to file for a Guardianship and/or Conservatorship. 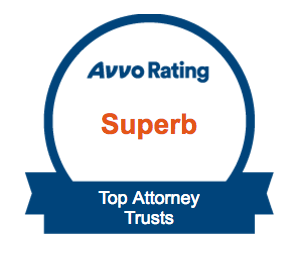 We prepare different types of Powers of Attorney, depending on your situation. A General Durable Power of Attorney gives your appointee immediate power to act for you, and a Springing Power of Attorney only comes into effect if you are medically certified as unable to handle your own affairs. 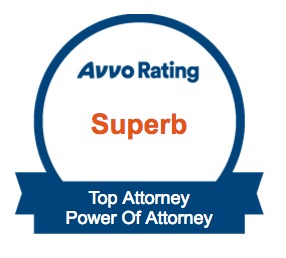 Both Powers of Attorney save time and money if your family needs to step in to help you with your business. Sometimes called a Living Will, A Patient Advocate Designation appoints a trusted family member or friend to make medical decisions for you if you are not able to make those decisions for yourself. It also makes your wishes known as to what extent you want your life prolonged if there is no chance of recovery and death is imminent. As with the Power of attorney above, a Patient Advocate Designation relieves your family of the burden of having to obtain a Guardianship for you in the event that you lapse into a coma or are otherwise unable to participate in your medical care. A Will tells your heirs how you want your property to be distributed. It appoints someone to handle the distribution and close out your estate. 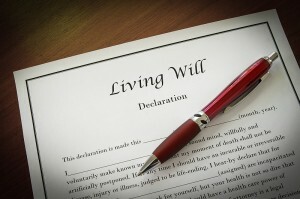 A Will ensures that your wishes for your estate take place in the event of your death. If you live in Michigan, and you die without a Will (intestate), the State of Michigan decides what happens to your property and who will handle your affairs. This person may, or may not, be a family member. The intestate statute distributes your assets according to a strict formula. If you have a spouse and children, your estate doesn’t necessarily just pass to your spouse; a certain portion passes to your spouse and any balance passes to your children. If you don’t have a spouse or children, it passes on to siblings or other relatives that you may not want to share in your estate. Maybe you wanted to leave something to a charity, a friend or a favorite niece. If you don’t have a Will, it won’t happen. My husband and I are in our mid 30′s and have two children. Do I need a Will now, or do you only need one when you are older? Although any competent adult, with any assets whatsoever, should have a Will; you have two particularly important reasons for getting a Will drafted; your children. A Will not only sets forth who you want your assets to go to; it also appoints guardians and conservators for your children. If something happens to both you and your husband and you don’t have a Will, the Probate Court decides who will care for your children and handle their finances. Although your sister might be the perfect person to take care of your kids, she may not be the right person to handle their money. You know these things better than anyone else, so it is important that your wishes be made known to the court. The best way to do this is by making a Will. You can even include instructions on how you want your children to be raised; for instance, you can specify that you want them to go to a certain school, attend summer camp or even that you don’t want a particular person to become their guardian or conservator. The benefits of having a Will far outweigh any negatives of having a Will. What if I just hold all of my assets jointly with my spouse or one of my children? The problem with this is that you may forget or overlook an asset and that asset will still have to go through the probate court and will be distributed according to the intestate statute. If you are holding your assets jointly with one or more of your children, expecting them to divide them up equally among all of your children upon your death; well, let’s just say our children don’t always get along as well as we might like. If you put your house into one child’s name, he is under no legal obligation to share it with any of his siblings when you die. He can do anything he wants with it and the temptation to keep it for himself may be too great. If you add a child’s name to your deed, you are giving them a portion of your house as soon as that deed is recorded. If they decide they want to cash in, they could force you to sell the house and split the proceeds with them. In addition, any assets you hold jointly with another person become part of that person’s assets. If they are sued, creditors could come after those assets to satisfy their claims even though you don’t owe the money. Isn’t probate really expensive and a big hassle? Not really. Many people think that probate runs tens of thousands of dollars and can take years. This is generally not the case. Probate of an average estate under $500,000.00 should cost between $3,000.00 and $5,000.00 and take less than 2 years. Heirs can obtain most of their inheritance within the first six months and receive their final distribution when the estate is closed. The attorney takes care of all the “hassle” and you are assured that your wishes are carried out as you direct the way they are spelled out in your Will. What if I just want to avoid probate anyway? If you really want to avoid probate, the most risk-free way to do this is to create a revocable trust and place all of your assets into the trust. You retain complete control over everything you place into the trust, but when you die, your assets are distributed by your trustee to the beneficiaries named in the trust without having to go through the probate court. OK, so what exactly is a Revocable Trust? A revocable trust is a document that is sort of like setting up a corporation just for your assets. You make the living trust the owner of all of your assets and you are the trustee. You still have complete control over those assets; you can sell them, give them away or do anything else you want with them. Upon your death, all of the assets still owned by the living trust are distributed to your beneficiaries according to your directions which are a part of the living trust. Living Trusts allow you to distribute to your beneficiaries without having to go though probate, but they also allow you to set up provisions for beneficiaries who are minors or who may not be able to handle their own financial affairs. Let’s say you would like to provide for a grandchild’s education. You can set up a provision in your trust that provides funds for college as well as a monthly allowance if you wish. You can set up a special needs trust for a disabled child or even make provisions for a beloved pet. I thought Living Trusts were just for rich people? Trusts are very useful estate planning tools that can solve a myriad of problems and provide wonderful benefits for your family. Many people think you have to have a very large estate to have a living trust, but almost anyone can benefit from having a trust, it is a very valuable tool. But aren’t Living Trusts really expensive? That depends. Most of our living trusts fall into the $1,500.00 to $3,500.00 range. Creating a living trust is usually less expensive than probating your estate. What if I put my house in my living trust and then decide I want to sell it? No problem. Your living trust is basically just an extension of yourself. You can sell your house and buy a condo. You can sell your house and go on a world cruise, or buy an RV and travel the countryside. You can do anything with your assets that you could before you placed them in your living trust. Do I need a Trust Administrator? Living Trust law becomes more and more complicated over the years. There are courts, laws, provisions, and at times, other trustees to deal with; which can lead to a lot of hassle on your part. It is usually in your best interest to get a trust administrator to handle your trust for you. He or she will ensure that provisions set forth in your trust are met. I have a disabled child who receives Social Security Disability. How can I leave money to her without jeopardizing her Social Security Benefits? You can create a Special Needs Trust. With a Special Needs Trust, you ensure that your disabled loved one is taken care of. You can put in provisions for the law to follow for to ensure that your child is provided for. A special needs trust is specifically designed to put funds aside for your disabled child without jeopardizing her governmental benefits. It provides funds for needs that are not provided for by the child’s governmental benefits. The funds are only available to the child to supplement her governmental benefits and are specifically barred from replacing those benefits. They can be used for travel, supplementary food or clothing and other extraordinary expenses that the governmental benefits do not meet. Do You Create Pet Trusts? We do create pet trusts! 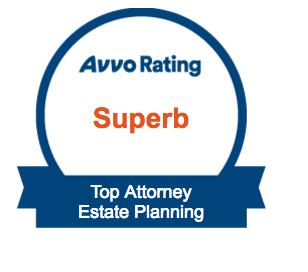 We either include them in the estate planning documents we create for you, or we can make one and add it to your current estate planning documents. See our Michigan Pet Trusts page for more information. I don’t think it is a good idea to give my adult child all of their inheritance at once; how can a Living Trust help me? We would recommend that you put a provision in your living trust that provides for your child to receive a certain amount per month and then receive lump sum amounts as he reaches certain ages. For instance, in your living trust, you can direct that he receive $500.00 per month with lump sum payments at 25, 30 and 35. You can give your trustee the discretion to give him more under certain circumstances, like buying a house or extraordinary medical expenses. 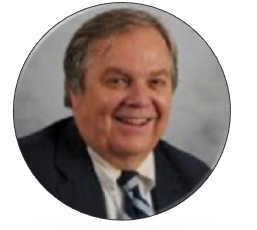 If you have any questions about wills, education, special needs, or revocable trusts in Michigan, please contact our attorneys at your earliest convenience either by phone, by email, or by using the form on this website. Thanks for visiting! We hope to talk to you soon.